When Jess and Mitch first meet it is a truly awkward cringe worthy moment – a real moment. Summer Skin’s story was believable and the characters felt real. While Jess and Mitch’s burning then blooming romance pushes the story along, a lot of issues that face young adults these days are touched on in a realistic and un-preachy manner. 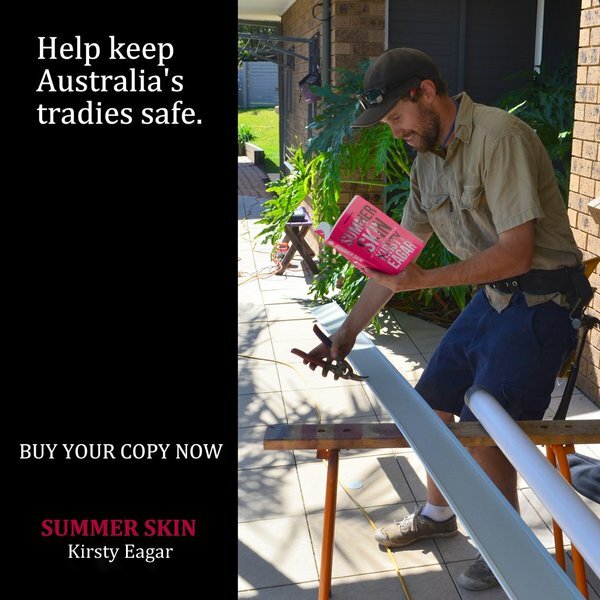 Well Done Kirsty Eagar. It was hideously beautiful! It made me thank the stars above that I’m not 19 anymore, while at the same time making me wish I still was. I’d say it’s more suited to a 15-25 age range. I’m not saying that if your older you won’t enjoy it, you still will, I still did. I’m just saying that age bracket because If I had read this when I was the main character’s age, it would have blown me away. I found these two “adds” on Kristy’s twitter and just had to share them. 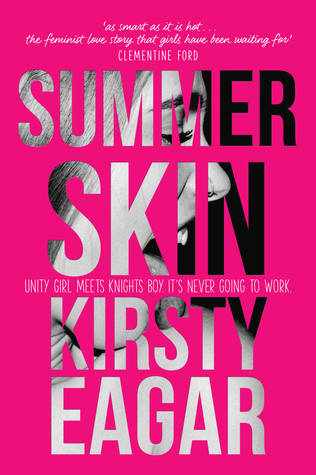 This entry was posted in Book Reviews: ALL, Book Reviews: YA only, Default and tagged Aussie Author, Australian Author, Kirsty Eagar, Love OZ YA, romance, Summer Skin, Teen Issues, YA Fiction, YA romance, Young Adult by Sarah "SacaKat" Fairbairn. Bookmark the permalink.